My niece asked me to make her an arm knitted scarf. Since I don’t knit I came up with this crochet version. How do I find this pattern? I would love to make this. Thanks so much! All of my patterns are on my website "":http://www.kayscrochetpatterns.com"
This is so easy to make! If you need last minute presents this is super easy. I went to the site but don’t see a pattern – just where I can buy the scarf. 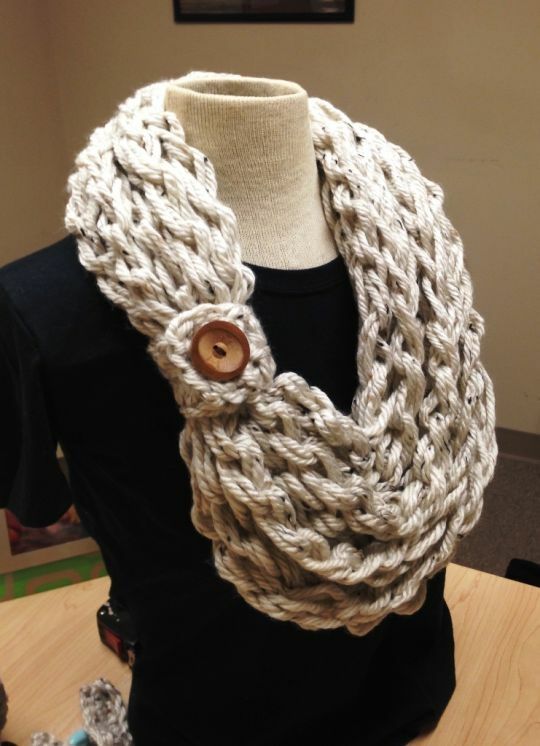 I know how to arm knit and might be able to figure it out but want it to come out exactly like this one. Can you please post a direct link to the pattern? Thanks Meego! I filled it back up on my website. Its just been really popular!